If you're a parent and a politician trying to keep your kids safe, which is the responsible thing to do, then they should be completely off-limits. But if you're a Sarah Palin or a Ted Cruz, and you've deliberately made your family part of your shtick and have used it as a cudgel to beat your political adversaries, you shouldn't be able to hide behind them. There&apos;s a gentleman&apos;s agreement in politics that kids are off-limits. As vicious as the political discourse can sometimes get and as hard as politicians and would-be politicians go after each other, attacking someone&apos;s children or family has always been considered a below-the-belt kind of punch. It&apos;s frowned upon for the simple reason that a candidates family, his or her kids in particular, are non-combatants. They&apos;re innocents who didn&apos;t ask to be thrust into the spotlight. Also, a lot of times, they&apos;re genuinely little children. 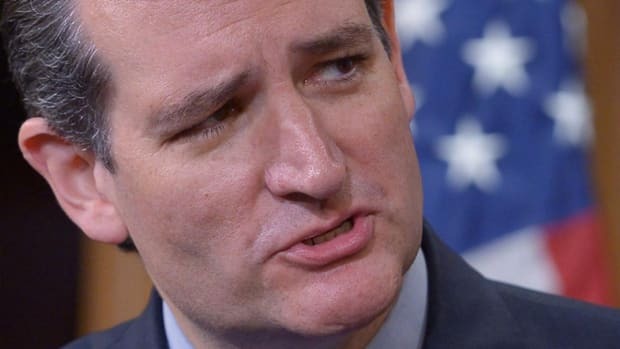 Such is the case with Ted Cruz, whose young daughters, Caroline and Catherine, are featured prominently in a new ad released by Cruz&apos;s campaign. 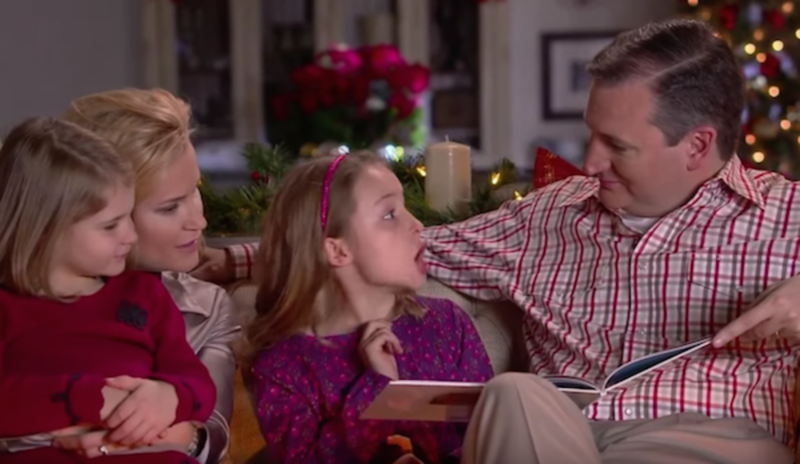 In the ad, Cruz pretends to read children&apos;s stories to his little girls as they&apos;re curled up on a couch next to the family Christmas tree, but of course the stories have titles like "How Obamacare Stole Christmas" and "The Grinch Who Lost Her E-Mails." 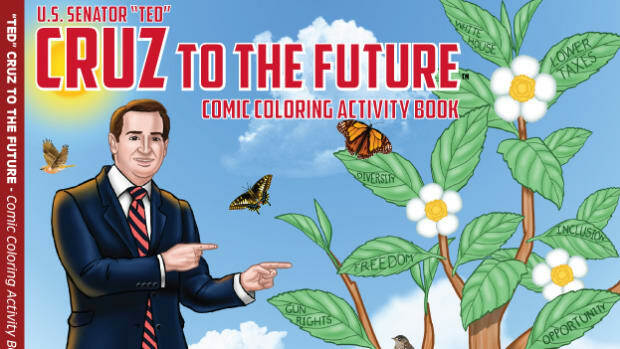 It&apos;s exactly the kind of uninspired cheese you&apos;d expect from a dumb doofus like Cruz, but maybe the important thing to keep in mind is that during the commercial, his daughters actually get in on the action rather than simply appearing as political window-dressing, proof Cruz is a boring family man and therefore ready to be leader of the free world. 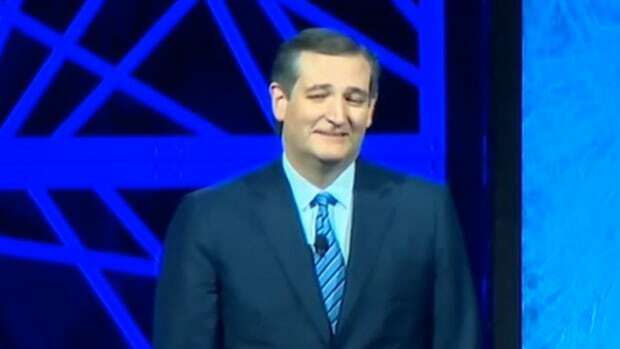 At one point, one of the girls pretends to read the Hillary Clinton story "Grinch" story, precociously scolding Clinton to the canned delight of both Cruz and his wife. While it can be argued that every politician uses his or her family to some extent, if only to prove his or her life is "normal" or "traditional," it&apos;s rare that a candidate genuinely trots out his kids and gives them speaking parts in campaign ads and it&apos;s even rarer that those kids participate in direct attacks on the competition. There&apos;s just something tawdry about the sight of a child running down Dad&apos;s talking points, if for no other reason than the fact that it&apos;s so cynical to use kids as human shields in politics given that the competition can&apos;t hit back at them without looking terrible. This is why the no-children rule works both ways and it&apos;s considered as déclassé to exploit your kids as part of your campaign as it is to attack a candidate&apos;s kids on the trail or in the media. But Ted Cruz did exploit his kids -- and he did it knowing full-well that if anyone called him out for it he could take umbrage on behalf of his unimpeachable daughters&apos; hurt feelings. 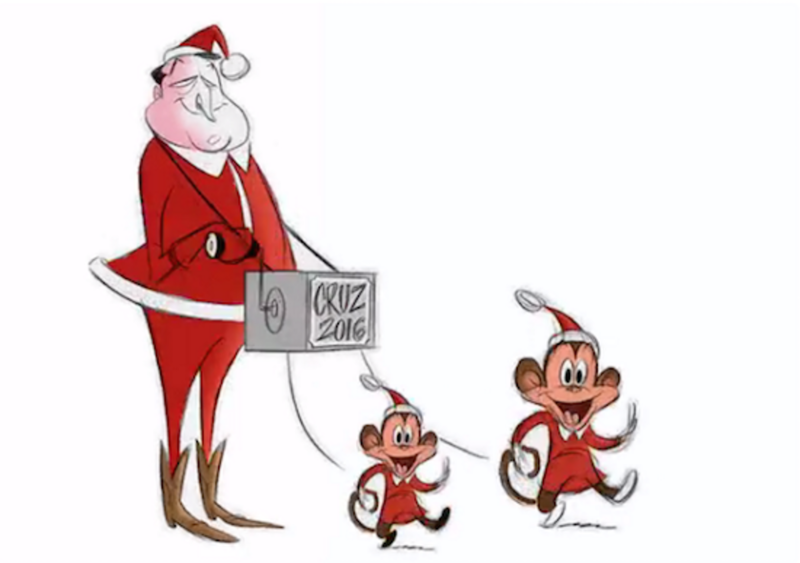 So when The Washington Post ran an editorial cartoon this morning that featured Cruz dressed as an organ grinder Santa with two dancing monkeys attached to him on leashes, he and his supporters lashed out immediately. He claimed the high ground, sarcastically calling the cartoon "classy" and expressing disappointment that his opponents would be so morally bankrupt as to attack his children. 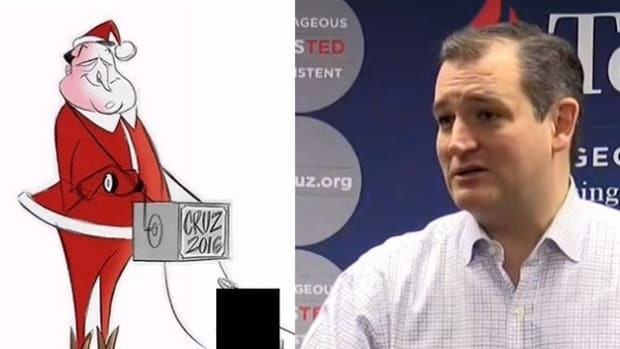 Granted, portraying them as monkeys was asking for trouble, but make no mistake: the cartoon, by Pulitzer Prize-winning cartoonist Ann Telnaes, was aimed not at Cruz&apos;s daughters but at Cruz himself. It implied that little Caroline and Catherine were dancing monkeys to Cruz, not to Telnaes or The Washington Post. 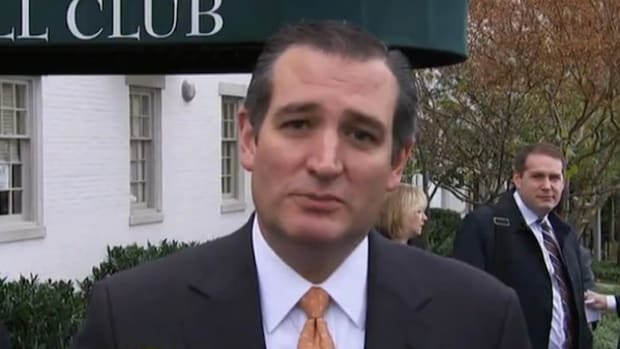 "When a politician uses his children as political props, as Ted Cruz recently did in his Christmas parody video in which his eldest daughter read (with her father’s dramatic flourish) a passage of an edited Christmas classic, then I figure they are fair game,"said Telnaes in response to the predictable backlash. Still, that outraged backlash grew into a cacophony and the Posthas now pulled the cartoon, with editorial page editor Fred Hiatt saying that he hadn&apos;t seen the cartoon before it was published. The thing is, though, that while you can argue the cartoon goes right to the precipice of acceptable taste, Ann Telnaes&apos;s reasoning is correct. 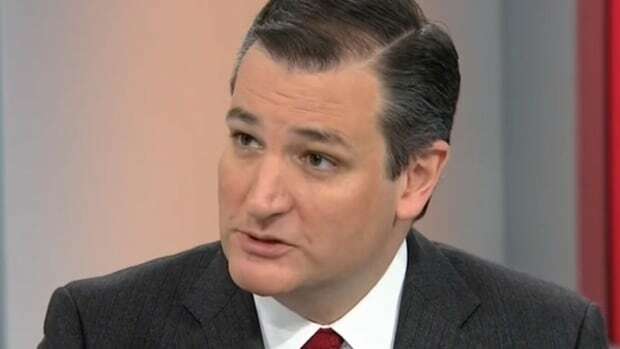 Ted Cruz&apos;s use of his children in his Christmas campaign ad, allowing them to attack his political enemy, is especially egregious and he can&apos;t claim victim status when he was the one who put them in the line of fire. He deserves to be called out for what he did because it was obnoxious as hell. We now live in a world where President Obama&apos;s daughters have faced unprecedented attacks from the right, with conservative website comment sections relentlessly hurling racist invective at them and even establishment conservatives scolding the girls when it suits their agenda. 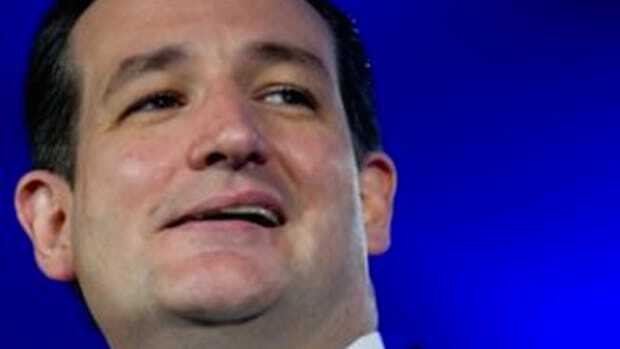 The difference between Obama&apos;s daughters and Ted Cruz&apos;s, however, is that Cruz specifically dragged his daughters out onto the battlefield while Obama, and really most political players from both parties, try to distance their children from the actual fighting because they know how vicious it can get. If you&apos;re a parent and a politician trying to keep your kids safe, which is the responsible thing to do, then they should be completely off-limits. But if you&apos;re a Sarah Palin or a Ted Cruz, and you&apos;ve deliberately made your family part of your shtick and have used it as a cudgel to beat your political adversaries, you shouldn&apos;t be able to hide behind them. 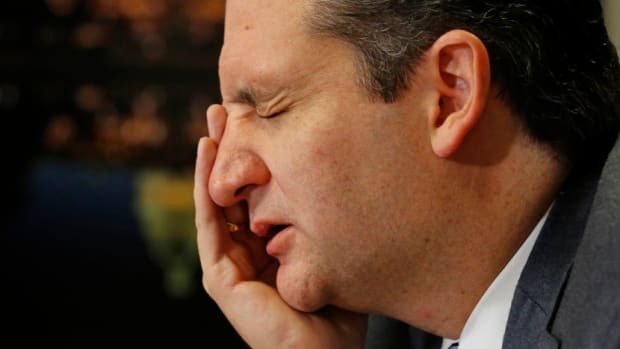 By the way, Ted Cruz is so disgusted by how low liberals will stoop to hurt him by accusing him of using his kids as props to further his campaign that he&apos;s, of course, once again using his kids as props to further his campaign. He&apos;s just launched a fundraising drive directly on the backs of his daughters&apos; honor, claiming that he needs to raise one-million dollars in the next 24-hours. He says he needs an "instant, emergency donation" from everyone on his mailing list in order to "fend off this most vicious personal attack" on his girls. He needs a million dollars in 24-hours because of his daughters. This is why The Washington Post pounded him this morning -- and why it had every right to.